Join American Muslim Health Professionals (AMHP) at its National Pubslic Health Conference, for an inspiring day of dialogue and collaboration among health professionals and industry experts. 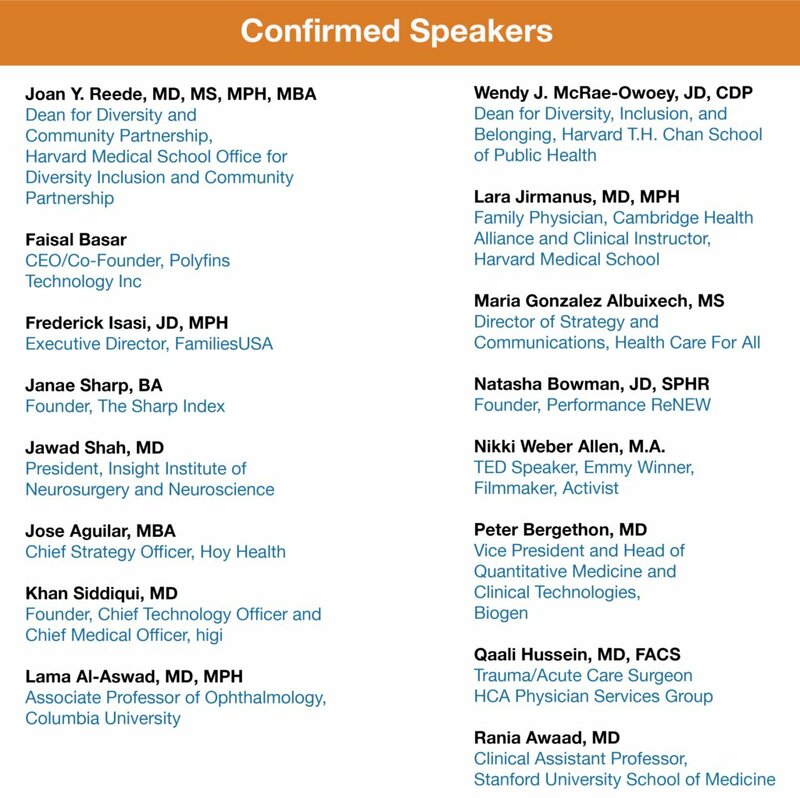 The Conference, co-hosted by Harvard Medical School Office for Diversity Inclusion and Community Partnership and Harvard T.H. Chan School of Public Health Office of Diversity and Inclusion, will feature clinicians, researchers, healthcare entrepreneurs, and public health pioneers who will speak about pertinent health topics that impact our communities. The conference is open to all health professionals and anyone interested in improving the health of all Americans. c) Advancing public health initiatives that impact our communities.